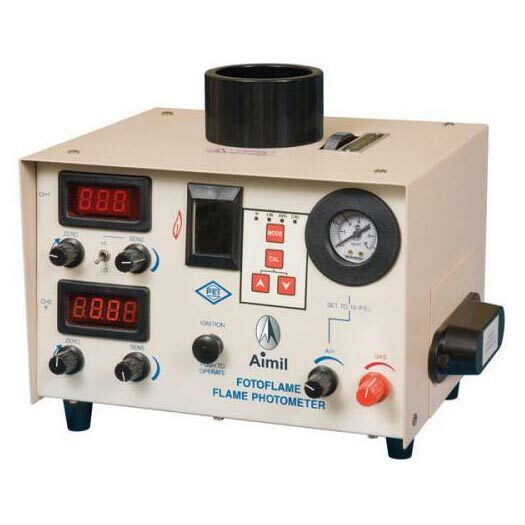 This model of our Flame Photometer has a microprocessor based lineariser for non-linear curves. The microprocessor calculates values by using a piecewise linear algorithm between the standards fed in to the unit. The range is defined by the highest standard used for the lineariser. The display can be changed to the normal mode where the unprocessed output is displayed. Aimil offers a complete choice of products for Analytical laboratory Instruments other than Flame Photometer like Gas Chromatography & Data Stations, Portable Gloss Meter, Reflectance Meters, Visible Spectrophotometers and many more.